Business class upgrades are perhaps the Holy Grail of frequent flyer programs, especially for business travellers stuck flying economy: there’s nothing quite as satisfying as using your points to switch your seat for one at the front of the plane. But if your plans change, what happens to your upgrade? On domestic flights, Qantas 'Classic Upgrade Rewards' are available on all fare types, including journeys initially booked using frequent flyer points. If an upgrade is available on your flight, it can be locked-in straight away with points deducted from your account – and if not, can be 'waitlisted' for consideration later on. For international flights, upgrades can be requested on reward bookings (excludes business class reward bookings for first class upgrades) and on most paid fare types with the exception of heavily-discounted economy tickets, but all international upgrades are waitlisted until a week before departure, where Qantas will gradually work through the list in order of priority. There’s no fee for cancelling an unconfirmed, waitlisted request – either domestic or international – but if your upgrade has already been confirmed, you'll be charged a fee of 5,000 Qantas Points to reverse it when requesting this 24 hours or more before departure. If there's less than 24 hours until your flight departs, you’ll be fresh out of luck as the upgrade will be forfeited if unused, even if you decide to cancel your flight once already at the airport, in the lounge or at the boarding gate. Bid Now Upgrades are an alternative way to move to the pointy end, using a combination of Qantas Points and cash (or more accurately, a points-earning credit card). If eligible, you can submit an offer between seven days and 24 hours before your flight to try your luck. The rules to cancel are simple – before the 24 hour cut-off, it’s free to change or cancel your bid. Within the 24 hours, if your upgrade offer is accepted, then you are stuck with it. Any further flight changes or cancellations will result in the upgrade being forfeited, unless your flight is cancelled by Qantas and/or you end up seated in a lower cabin class for operational reasons. Anyone can use Velocity points to upgrade a domestic flight from any paid fare type, or a short international flight from a Go Plus, Getaway or Freedom fare. If there's availability, upgrades can be confirmed immediately, otherwise you’ll be placed on the waitlist. Velocity Platinum passengers also have four free business class upgrades a year from Economy Freedom fares on these domestic and short international flights. For longer international flights to Hong Kong and Los Angeles, only Velocity Gold and Platinum members can request a points upgrade, and even then, only from an Economy Freedom fare or a premium economy ticket. However, the upside is that these frequent flyers can snag a confirmed one-up anytime after booking, if there is availability. Otherwise a waitlist will apply as usual, and Virgin Australia will start sorting the list from 5 days before departure. You can remove yourself from the upgrade waitlist free of charge. If an upgrade is confirmed, then you’ll need to cough up 4,500 Velocity points or $35 per person to cancel it up to 24 hours before the flight. As expected, you’ll forfeit the upgrade if any changes are made within 24 hours of departure. Thankfully, Velocity Platinum guests will find themselves exempt of any cancellation fees for upgrades via points or complimentary certificates. However, not even these top-tiered flyers can escape the 24-hours-before-departure threshold, where the upgrade will still be forfeited. 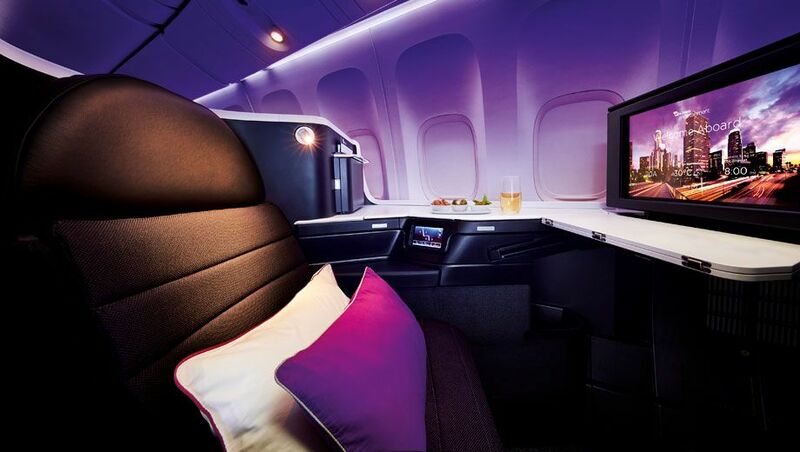 The UpgradeMe Premium Bid program is widely accessible to almost every traveller on Virgin Australia, where you can offer cash to escape economy. Virgin Australia and Qantas both use the same system to process these types of upgrades, so the rules are almost identical. Offers made up to 75 hours prior to the flight can be cancel or modified sans fees. After this period, if you are successful with your upgrade, then it’ll be forfeited with any further voluntary changes or cancellations to your flight. Qantas is like winning jackpot even when your a platinum for a upgrade. Had a Honkers to Sydney in (flex premium class) a couple of weeks ago on a A380 and chose to upgrade and got knocked back and when I went to see a mate in J class it was 30% empty and 10% were Qantas staff..
Zaps how correct you are. Why do staff get upgrades before punters? Ps tried to upgrade on Jetstar with cash twice now for flights to DPS at the airport and no joy. They would rather fly with empty seats! We have always bid for an upgrade every time we travel Qantas internationally and (touch wood) and never been knocked back. For these reason we are always appreciative and thankful to the cabin crew and the service we get goes up a notch. fully flexible Qantas tickets and being a platinum member. I am not sure how the system works but it looks like there is now nil advantage of flying Qantas even with Platinum status. Not even any priority in seating.. it looks like it is one side loyalty now. Booking cheaper business class tickets with other airlines and forgeting about bying expensive flexible economy with Qantas with the hope of an upgrade is the way to go. Comment on "Qantas vs Virgin Australia: flexibility of points and cash upgrades"